Pioneer Roofs National Air and Space Museum's Steven F. Udvar-Hazy Center. Over 1 million square feet of roofing membrane has been installed by Pioneer Roofing systems since the project's inception. 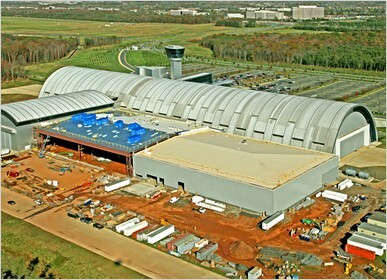 During the first phase, Pioneer covered the enormous hangar- shaped museum and its adjoining space shuttle hangar, archival resource center, large format theater, restaurants and museum shops with 17 miles of 6 foot-wide Stevens Hypalon®-based roofing membrane from DuPont Dow Elastomers. To install the Stevens Hypalon roofing system on the Aviation Hangar, Pioneer Roofing worked closely with ADF International, Inc., the structural steel subcontractor for the project. While the trusses were still on the ground Pioneer Roofing laid down acoustical decking, covered it with two, 2.6-inch thick layers of Stevens Polyisocyanurate Insulation (manufactured by Atlas Roofing Corporation), and then fully adhered the Stevens Hypalon membrane on top. For Phase 2, completed in the winter of 2010, Pioneer installed 250,000 square feet of 50 Mil XT FiberTite Roofing by Seaman Corporation fully adhered over a steel deck with Polyisocyanurate Insulation. 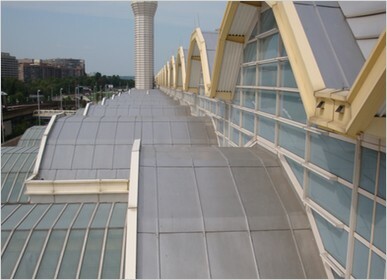 When the Washington Metropolitan Airport Authority faced the catastrophic failure of the metal barrel roofs at the brand new Reagan National Airport they turned to Pioneer Roofing to install a beautiful Sarnafil Décor Roof System. The Décor Roof provides the look of a metal roof with the advantages of a heat-weldable, singleply PVC membrane. Pioneer first removed the stainless steel and fixed the underlayment to guarantee the new system would be water tight. Dens-Deck was then installed over the existing insulation assembly, and then the 80-mil feltback Sarnafil membrane was adhered. Using the Sarnafil product enabled the Authority to have what appears to be an aesthetically pleasing metal roof but is actually a single-ply membrane with a 20-year manufacturer's warranty. When it came down to installing a cutting-edge, energy-efficient new solar roof, The Army Research Center chose American Solar Inc. (ASI) and Pioneer Roofing Systems. By combining precision installation by Pioneer's skilled metal craftsmen with revolutionary solar roof technology developed by American Solar, the Army will save money for years to come. 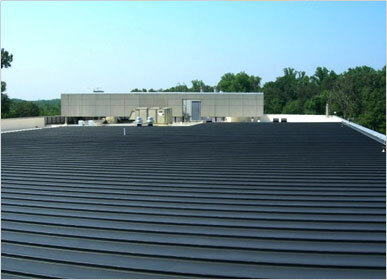 The new solar air-heating roof provides all of the energy needed to heat the 44,000 square foot two-story building in Adelphi, MD. The dark-colored standing-seam metal roof panels are fastened on framing 12 inches above the old roof. Fans and ducts draw heated air, created by sunlight hitting the roof's surface, into the building from the pocket below the metal panels. 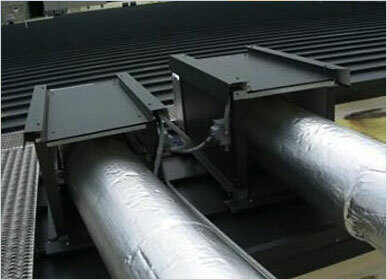 The air is used to power the buildings heat, hot water, and VAV reheat loop systems. American Solar's roof design uses standard commercial components and conventional roofing and HVAC systems. Because the roof itself is the solar panel, a solar-air-heating metal roof provides the best balance of cost and productivity available. For more info on the American Solar system contact Pioneer Roofing today.